Now that I have your attention, please know that was not a bait-and-switch headline. “Scan your brain” may be the new “pick your brain” when it comes to understanding consumer preferences and predicting behavior. How could I skip that one? 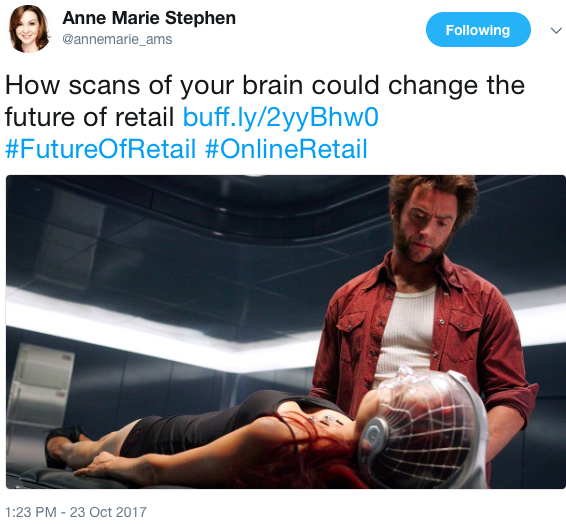 “It turns out our brains know more about human behavior than we do,” suggests Leslie Albrecht in How scans of your brain could change the future of retail. Researchers…found that neurons firing in the brain’s “reward center” predicted widespread consumer behavior more accurately than interviews with consumers about their preferences. You can read the original study here. Questionnaires are passé; if you want results, you’ll need an MRI machine! It sounds like science-fiction – or maybe the stuff of nightmares, depending upon your opinion of invasive marketing research tactics. Clearly this isn’t likely to see widespread use in its current, clinical form. But imagine a world where VR headsets are more commonplace and some kind of brain activity scanning ring is included in the strap? Once scientists know where to look, maybe they can find easier ways to look at it? And what’s to stop companies from investing in this kind of research? If it’s more accurate than a consumer survey, I can see it being worth the investment to pay guinea pi– er, willing test subjects. [F]ewer participants are needed than in studies that rely on traditional methods such as interviews. [R]esearchers could test products or services by conducting MRI scans while consumers were exposed to different designs or attributes of the products or services, or advertisements or messages about them. Typically, visual images would be used, but it would also be possible, though more difficult, to study responses to audio, taste (as in wine or juice), or olfactory stimuli. 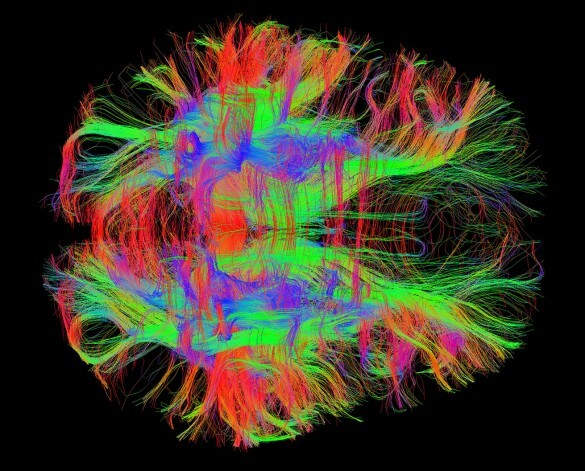 You’ll have to tell me via comments for now – I haven’t had a chance to scan your brain yet!